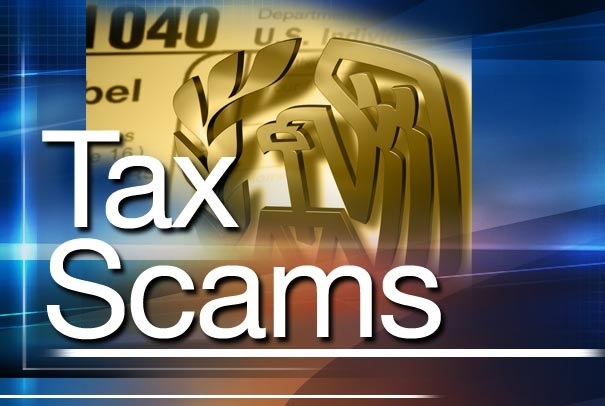 The Internal Revenue Service recently presented its list of the 2015 “Dirty Dozen” list of tax scams with a warning to taxpayers about aggressive telephone scams continuing coast-to-coast. Scam artists use flyers, advertisements, phony storefronts and word of mouth via community groups and churches to seek victims. 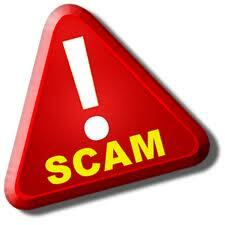 Scams are especially common during tax filing season, but can occur any time of the year. Aggressive and threatening phone calls by scam artists posing as IRS agents remain an ongoing threat to taxpayers. There has been a surge of these scams — threatening arrest, deportation, license revocation and other adverse consequences. The IRS reminds taxpayers that the IRS will never solicit personal information by email or by phone calls not initiated by taxpayers. The IRS never sends taxpayers unsolicited emails or refunds. If you receive such a message; it is almost certainly a scam. Taxpayers should be wary of clicking links contained in strange emails and websites. They may be attempts to steal your personal information. Attempts at identity theft are especially common during tax filing season. A common tactic is filing fraudulent returns using someone else’s Social Security number. The IRS aggressively pursues identity theft attempts, but taxpayers must also practice due diligence in protecting their information. 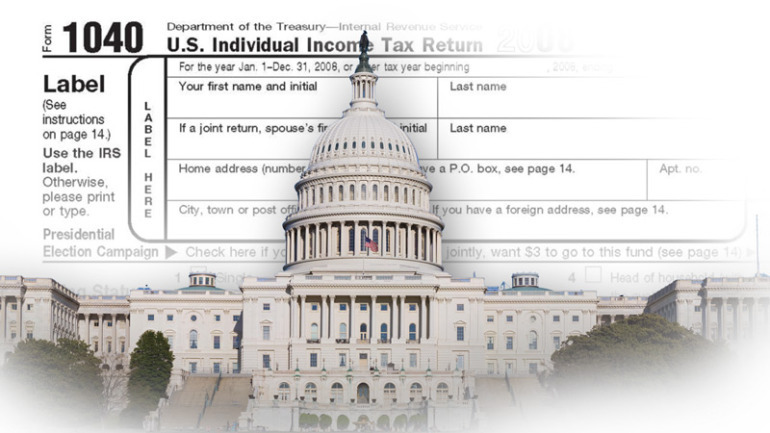 Return preparers are a vital part of the U.S. tax system. About 60% of taxpayers use tax professionals to prepare their returns. Although the vast majority of tax professionals provide honest high-quality service, dishonest preparers set up shop each filing season to perpetrate refund fraud, identity theft and other scams. Taxpayers must be wary of such bad actors. As the recent string of successful enforcement actions against offshore tax cheats and the financial organizations that help them shows, it’s a losing bet to attempt to shelter income and assets offshore. Taxpayers are best served by taking advantage of the IRS Offshore Voluntary Disclosure Program (OVDP) to get their federal income tax affairs in order. Taxpayers should be wary of preparers promising inflated refunds — especially before looking at their financial records, and refuse to sign blank returns. Taxpayers should also be wary of preparers who charge fees based on a percentage of the refund. For more information on selecting paid tax preparers, see the Choosing a Tax Professional page on IRS.gov. Especially during the holiday season, taxpayers should be on guard against fake charitable organizations. Check out the group to ensure that hard-earned cash isn’t filtered into a sham operation BEFORE making a contribution. 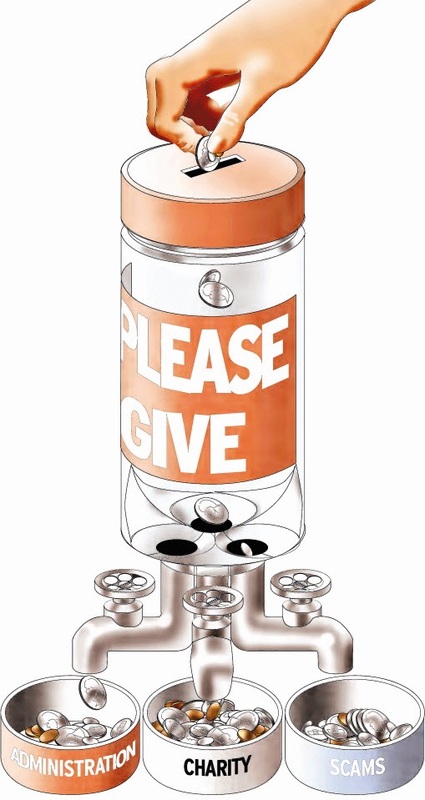 IRS.gov has tools taxpayers need to check out the status of charitable organizations. Be especially wary of charities with names that are similar to familiar or nationally known organizations. The mere suggestion by paid preparers that taxpayers should falsify to reduce tax bills or inflate tax refunds is a huge red flag. The IRS reminds taxpayers who might be tempted to allow paid preparers to cut corners that they are legally responsible their returns regardless of who prepares them. While the vast majority of taxpayers voluntarily pay their fair share, the IRS is committed to stopping abusive tax shelters and prosecuting the people who create and sell them. Taxpayers should be wary for tax breaks that sound too good to be true. When in doubt, seek an independent opinion regarding questionable offers before making a commitment. Unscrupulous tax preparers sometimes persuade otherwise honest taxpayers to artificially inflate their income to erroneously claim tax credits. While taxpayers are entitled to take advantage of all legal tax breaks, avoiding questionable credits and deductions is the best policy in the long run. 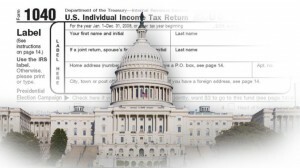 If the IRS discovers a discrepancy, the taxpayer is legally responsible, even if someone else preparedthe return. Unlike the mileage tax credit, the fuel tax credit is generally limited to off-highway business use, including use in farming. Consequently, the credit is not available to most taxpayers. Nonetheless, the IRS routinely encounters unscrupulous preparers who have enticed sizable groups of taxpayers to erroneously claim fuel tax credits to inflate their refunds. Taxpayers are entitled to present legitimate disputes about tax liabilities. However, despite routinely being thrown out of court, there are unscrupulous taxpayers who insist on making outlandish claims to avoid paying taxes they rightfully owe. 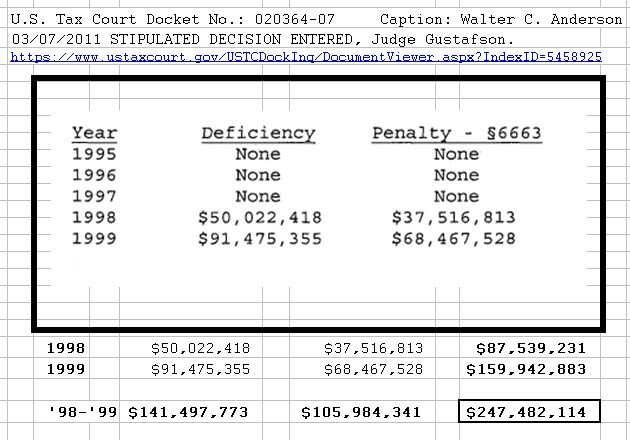 The IRS reminds taxpayers who are tempted to file frivolous returns that the penalty for doing so is $5,000. Additional information about tax scams is available on IRS social media sites, including YouTube and Tumblr, where people can search “scam” to find scam-related posts. 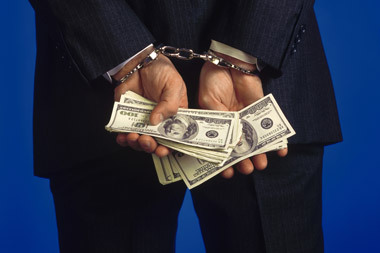 Illegal scams can lead to significant penalties and interest for taxpayers, as well as possible criminal prosecution. Taxpayers should also remember that they are legally responsible for the content of their tax returns even if they are prepared by someone else. The IRS Criminal Investigation division works closely with the Department of Justice to prosecute criminals who perpetrate tax scams. 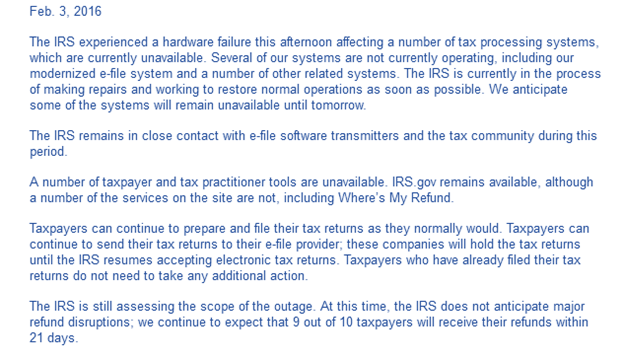 During the outage, taxpayers were instructed to continue to file their returns electronically through their e-file providers. However, providers were instructed to hold the returns rather than forward them to the IRS. The “Where’s My Refund?” service was also affected by the outage, but was also back online as of February 4. This year, the IRS launched a new version of its FreeFile system, along with expanding eligibility to taxpayers earning $62,000 or less annually, an increase of $2,000 over the limit for last year’s returns. The system includes additional safeguards put into place to prevent a repeat of the embarrassing data breach in 2015, which exposed the information of more than 300,000 taxpayers nationwide. Taxpayers whose returns were filed before the February 3 outage were not affected, and should not re-file their returns. 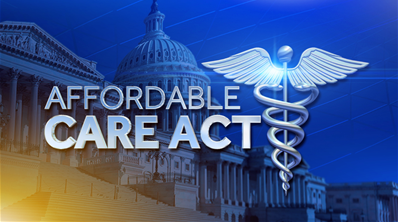 Millions of previously uninsured Americans have obtained health insurance coverage, thanks to the Affordable Care Act – commonly known as Obamacare. However, many individuals and households remain uninsured. Many of those taxpayers face significant financial penalties from the IRS for failing to obtain insurance under the individual mandate of the ACA – unless they can claim an exemption. During 2014, the first year health insurance coverage was required under the ACA, many individuals chose to remain uninsured. They figured that paying $95 as a penalty for failing to obtain and maintain coverage would be far less expensive than the premium for any policy they could obtain. Many people experienced sticker shock when they realized how large their penalties would be. That’s because the penalty for 2014 wasn’t $95. The actual penalty was $95 for each adult age 18 or over plus $47.50 for each child under 18, with a maximum penalty of $285 — or 1% of the total household income above the threshold for filing federal tax returns, whichever was larger. The maximum penalty for all households was capped at the national annual cost of an individual bronze tier insurance plan in 2014, which was $2,448, regardless of income and household size. For example, the penalty for a single taxpayer who earned $45,000 in 2014 and remained uninsured for the entire year would be $348.50. That’s the result of subtracting the minimum income for being required to file a federal income tax return ($10,150 in 2014) from $45,000, for a result of $34,850, and then multiplying that figure by 1%. Ouch. Individual mandate penalties for 2015 are even higher, increasing to $325 per adult plus $162.50 per child, for a maximum of $975 – or 2% of household income, whichever is larger. As in 2014, the maximum penalty for all households has been capped at the 2015 national annual cost of an individual bronze tier plan. Remaining uninsured in 2016 will take an even bigger financial bite out of taxpayers’ pocketbooks. The penalty has been set for a hefty $695 per adult and $347.50 per child, with a maximum per household of $2,085 dollars. As an alternative, the penalty will be 2.5% of household income, with a maximum of the average annual premium of an individual Bronze tier health insurance plan sold through the marketplace. Taxpayers will pay whichever calculation results in the higher penalty. Taxpayers hoping to avoid the individual mandate penalty by obtaining health insurance coverage late in the year will most likely only be able to reduce the penalty rather than eliminate it. However, there are a number of exemptions based on personal circumstances and financial hardships that allow some taxpayers to avoid the penalty. 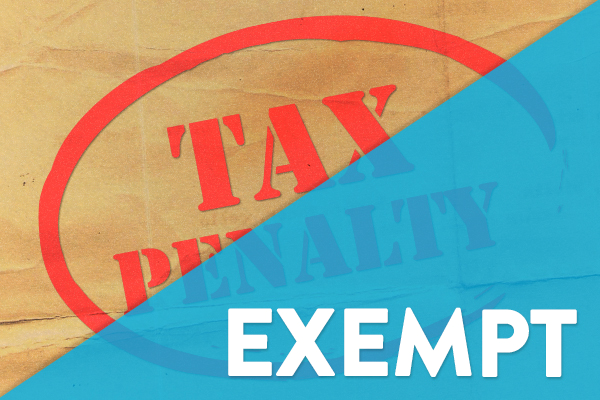 To claim total or partial exemptions, taxpayers must file an application with Healthcare.gov. Taxpayers whose applications are approved receive an Electronic Confirmation Number (ECN) to claim the exemption on their federal income tax returns. The list below represents an overview of personal exemptions to the individual mandate penalty. A full list of exemptions is available at Healthcare.gov.Unaffordable Coverage: Lowest-price Marketplace plans exceed 9.5% of adjusted gross income, or employer-provided healthcare plans exceed 8% of AGI. Low Income: Individuals or households with incomes below the minimum threshold for filing federal income tax returns are automatically exempt. Short Coverage Gap: Gaps in coverage of less than three consecutive months are exempt. Taxpayers who purchased coverage anytime during open enrollment in 2014 are also exempt; even they remained uninsured until May 1. Religious Conscience: This exemption is administered through the Social Security Administration. Health Care Sharing Ministry: Members of recognized health care sharing ministries are also exempt. Citizens Living Abroad: U.S. citizens who reside abroad at least 330 days during a 12 month period are exempt. Participants in AmeriCorps State and National, VISTA, or NCCC: Participants with short term program provided coverage or self-funded coverage are exempt. Undocumented: Undocumented residents are not eligible to purchase insurance through the exchanges and are exempt from the penalty. Incarcerated: Incarcerated individuals are exempt. Native Americans: Members of federally recognized tribes are exempt. For most hardship exemptions, taxpayers must file supporting documentation; others are automatic. Some taxpayers who qualify for hardship exemptions may be allowed to purchase catastrophic health insurance policies; others may qualify for a special enrollment period outside of open enrollment. 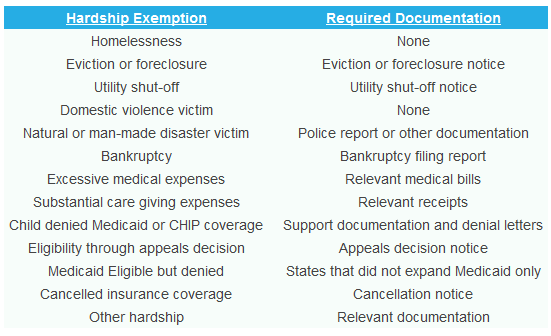 The list below briefly describes hardship exemptions along with required documentation. A complete description of hardship exemptions and relevant forms are available through Healthcare.gov. 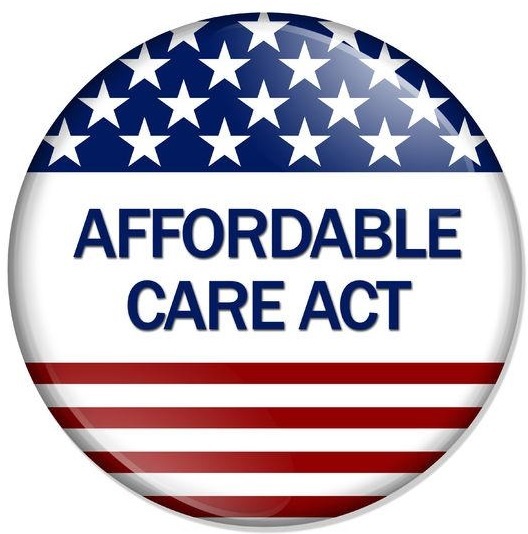 The best way to avoid the individual mandate penalty is to obtain health insurance coverage – either through the Marketplace, an employer or another health insurance plan that meets the minimum guidelines for the ACA. Many taxpayers who obtain insurance through the Marketplace are eligible for tax subsidies that significantly reduce premium payments or provide refundable tax credits. Other taxpayers will qualify for an additional cost-sharing subsidy that can be applied to Silver tier plans to lower the overall cost of deductibles, copays and coinsurance. Individuals who have questions about their eligibility for tax credits, the individual mandate or any penalties they might owe can obtain assistance through Healthcare.gov. Specially trained Navigators can also assist individuals one-on-one, either in person or over the phone, with selecting appropriate coverage. Taxpayers facing large individual mandate penalties should consult with an accountant or with an attorney specializing in tax law. 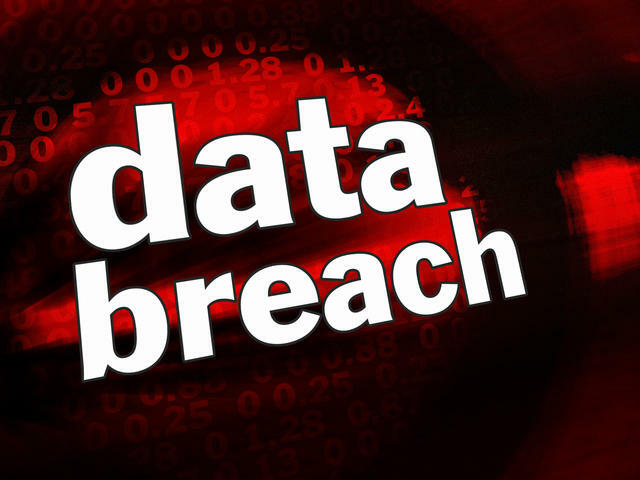 A data breach is the intentional or unintentional release or theft of secure information. It can be the improper disposal of personally identifiable information in the trash or a sophisticated cyber-attack on corporate computers by criminals. It can affect companies large or small. The one common link is the victim, the person whose identity, financial or personal information has been compromised. Tax-related identity theft is when someone uses your Social Security number to file a false tax return claiming a fraudulent refund. Your tax account is most at risk if the data breach involves both your SSN and financial data, such as wages. The Internal Revenue Service is committed to working with taxpayers to ensure that all tax accounts remain secure. The IRS stops the vast majority of fraudulent tax returns. If fraud is suspected, the IRS will contact you via mail with instructions. However, some unfortunate taxpayers may discover they have been victimized by a data breach when they attempt to file electronically and have their returns rejected by the IRS as duplicates. It’s important to note that not every data breach results in identity theft, and not every identity theft is tax-related identity theft. Data breaches involving just credit card numbers, health records without SSNs or even driver’s license numbers, while certainly serious, will not affect your federal or state tax return. Determine what type of Personally Identifiable Information (PII) has been lost or stolen. It is important to know what kind of information has been stolen so you can take the appropriate steps. For example, a stolen credit card number will not affect your IRS tax account. Regardless of the nature of the breach, you should stay in touch with the company that lost your data. Companies sometimes offer special services, such as credit monitoring services, to assist victims. In addition, you should take the following steps recommended by the Federal Trade Commission. Who Should File Form 14039? Form 14039 — Identity Theft Affidavit should be used if your Social Security number has been compromised and IRS has informed you that you may be a victim of identity theft tax fraud or your e-file return was rejected as a duplicate. The fillable form is available at IRS.gov. Follow the instructions exactly. You can fax or mail it or submit it with your paper tax return if you have been prevented from filing because someone else has already filed a return using your SSN. You only need to file the form once. After the form is processed, you will receive a special number to use in place of your Social Security number to file your federal income tax returns. This number can be used with electronic filing — but should only be used with your federal tax returns, not with your state tax returns. 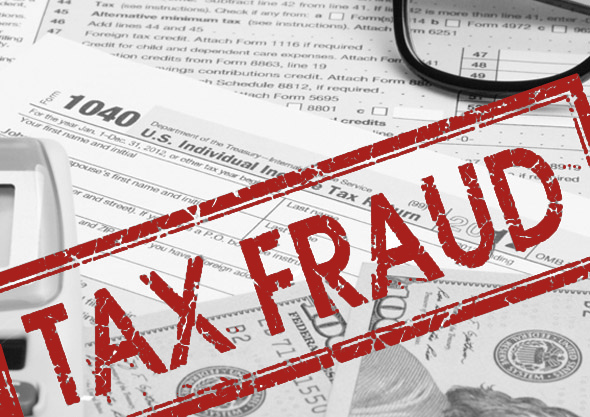 Tax Fraud: How Do You Protect Yourself From Something You Don’t Know Exists? You’ve always filed your income tax returns electronically in the past. Your returns were less vulnerable to calculation errors and you received your tax refund much quicker than you did filing paper returns. But this year, when you attempted to e-file your federal income tax return, the IRS rejected your submission, issuing a statement that a previously filed return using your Social Security number was already on file. How could such a thing happen? Welcome to the world of identity theft, tax fraud style. Scammers filing falsified returns reap millions for their fraudulent efforts, spending the money from their ill-gotten gains long before the IRS – or their victims – become privy to the fact that a crime has even been committed. Many victims only learn that they’ve been targeted after receiving an audit notice from the IRS. In the meantime, fines, fees, penalties and interest from tax return fraud have accumulated, – and it’s largely up to victims to straighten out the mess. Ironically, the same e-filing system that cuts weeks from the time needed to process federal income tax returns and refunds also facilitates tax return fraud. 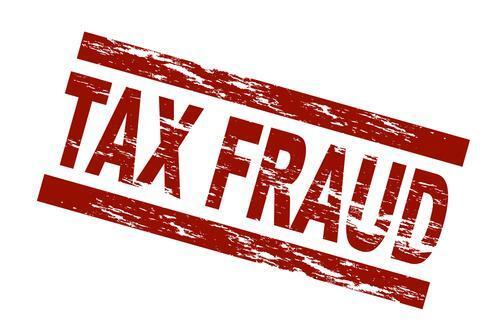 Known as “drops” in many urban areas, this form of tax fraud identity theft involves using victims’ Social Security numbers, to file fraudulent electronic income tax returns claiming substantial tax refunds. This eliminates the need to attempt to forge victims’ physical signatures on paper tax returns. Another ironic consequence of the dramatic rise in “drops” is a corresponding decline in street crime, particularly the drug trade. Many small-time drug dealers and even large volume drug traders find that executing “drops” is less legally hazardous, not to mention more lucrative. Another ironic consequence is a reduction in demand for assistance from food banks or even government food stamps: tax fraud artists don’t need the help. In fact, the expensive cars with pricey rims, the fancy clothes and the other “bling” flaunted by many tax fraud artists, fuels resentment amongst honest residents in low-income neighborhoods who struggle to make ends meet on a daily basis. Have you ever provided your Social Security number to anyone? Then you are potentially a target for tax fraud identity theft. Many legitimate transactions: opening a bank account, applying for a mortgage or filling out a job application require individuals to supply Social Security Numbers. Unscrupulous employees harvest Social Security numbers from such transactions, which they use themselves or sell to the highest bidder. Tax fraud artists also comb death notices, create Trojan viruses or phishing email attempts or simply rummage through trash for the information they seek. Funds from these fraudulent returns are commonly issued on proprietary debit cards issued by companies providing e-filing services, making it easy for fraud artists to access their ill-gotten gains. Paperwork backlogs and personnel shortages within the IRS exacerbate the issue. Especially during the busy tax filing season, the emphasis of the IRS is on processing returns and refunds as quickly as possible. By the time the IRS initiates inquires on questionable returns, money from fraudulently obtained refunds has often long since been spent. The best way to protect yourself from tax return fraud is by limiting access to your Social Security number. A bit of vigilance will protect you from many fraudulent attempts to obtain your Social Security number. Don’t carry your Social Security card unless you need to provide a copy for a job application or a similar purpose. Protect sensitive information on your computer by maintaining up-to-date antivirus and antispyware software and firewalls. Think twice before responding to unsolicited “pre-approved credit” offers received online or in the mail. Never supply sensitive personal or financial information unless you have initiated the transaction or conversation – or unless you are 110 percent sure that the person on the phone or the website you’re dealing with is the real deal. If you receive questionable communication requesting (or demanding) sensitive financial or personal information from a company you’ve done business with, contact the company directly to check verify that it is indeed them requesting the information. If you receive unsolicited email, social media or text messages claiming to be from the IRS, there is a 100 percent probability that they’re fake. The IRS only initiates communications with taxpayers by regular mail or by telephone – period. Do not respond directly to such communications in any way. 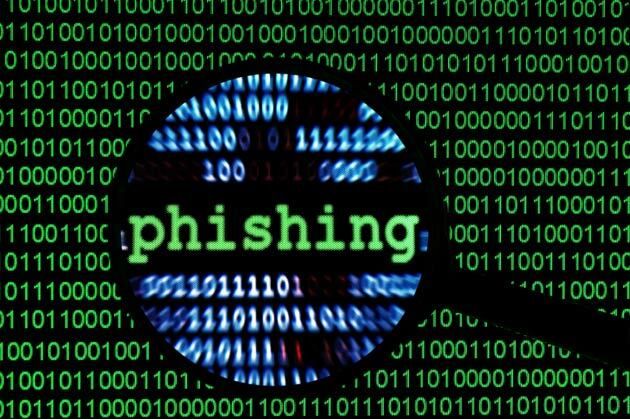 Instead, report suspicious IRS-related communications to phishing@irs.gov or call 1-800-366-4484. The first indication that you’ve been victimized by tax return fraud often comes in the form of an inquiry from the IRS about discrepancies in your return. You may be questioned about returns issued in your name which you never received or wages earned for companies you’ve never even heard of. You may also be assessed additional taxes or tax return offsets for years that you didn’t file a tax return at all. Another telltale sign is a notice from the IRS that multiple returns have been filed during a single year using your Social Security number. Once you become aware that you’ve been targeted by tax return fraud, you must act quickly to limit the damage. File a complaint with the Federal Trade Commission and a police report with your local law enforcement agency. Contact one or more of the three major credit reporting bureaus (TransUnion, Equifax or Experian) to have a fraud alert placed on your credit report. Close any credit card or other accounts that have been compromised or opened without your knowledge. Also, check your earnings report annually with the Social Security Administration to endure that there is no fraudulent activity. If your federal tax refund has been stolen or you have other unresolved tax-fraud related issues, contact the IRS Identity Protection Specialized Unit at (800)908-4490. You can protect yourself from further tax return fraud attempts by filing “Form 14039 – Identity Theft Affidavit” with the IRS. It’s likely that you’ll be required to file a paper return for the present tax year and it may take months to resolve your case, as well as restore any refunds to which you’re rightfully entitled. However, the IRS will issue you a unique IP PIN that will replace your Social Security number and which will allow you to e-file future federal income tax returns safely. Do not use this IP PIN for any other reason – including state income tax returns. IRS Hacked, 104,000 Taxpayers Impacted and Nearly $50 million Stolen: What Should You Do to Protect Yourself? 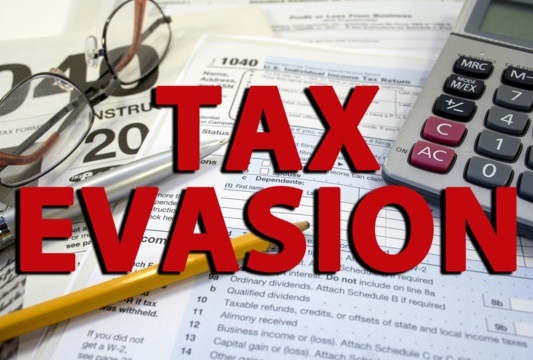 The IRS announced on Tuesday (5/26/2015) that identity thieves had attempted to access the accounts of 200,000 taxpayers through the IRS’s “Get Transcript” online application. The scary part is that the IRS has admitted that more than 104,000 of those attempts were successful. The hackers’ operation started in February and ran through mid-May. All in all, the IRS was tricked into sending nearly $50 million in refunds for fraudulent returns. 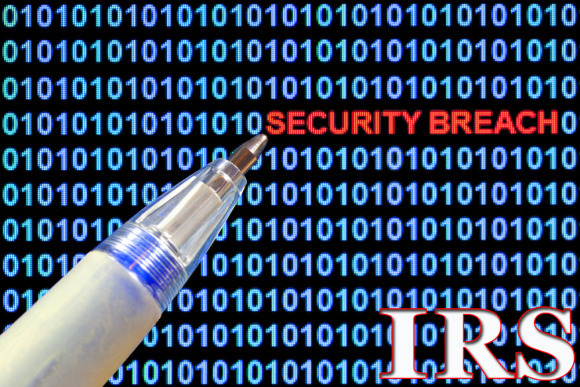 The IRS has started an investigation in the breach and has temporarily closed down the “Get Transcript” application, a service that allows taxpayers gain access to their information. Taxpayers who need access to old tax returns to apply for mortgage or college loans can now request them by snail mail. The IRS is notifying the 200,000 taxpayers whose accounts were tampered with that their Social Security numbers and other personal financial information is in the hands of hackers. It is also offering complimentary credit monitoring to the 104,000 whose “Get Transcript” accounts were accessed to ensure their private information is not used by criminals to fill in bogus bank loans and credit card applications. This is by no means the first time the IRS has been the victim of online crime. According to a report published by the U.S. Government Accountability Office in January 2015, identity thieves cheated the IRS out of $5.8 billion in falsely claimed refunds during 2013 alone. Who Stole from the IRS? According to Peter Roskam, Illinois republican and chairman of a House subcommittee that supervises the IRS, the IRS Commissioner John Koskinen said to him in a telephone call that the theft originated from within Russia. The IRS’s investigation is still ongoing and IRS officials have neither confirmed nor denied Roskam’s statement. How Did Identity Thieves Steal $50 Million from Taxpayers? When you think of hackers stealing money from big corporations or government agencies you probably have the image of shady programmers strong-arming the security protocols of their victims’ servers with their sophisticated code; but this isn’t what happened here. Strictly speaking the IRS wasn’t hacked. The identity thieves didn’t need to hack their way into the IRS, because they had all the answers to the IRS’s identification confirmation questions. As Peter Roskam put it, the identity thieves “went into the front door of the IRS and unlocked it with the key.” The hackers had already obtained personal information on taxpayers, such as their date of birth, address and Social Security information, from previous hacking heists. With that information thieves were able to clear the IRS’s multi-step authentication process, including several personal verification questions that usually only the taxpayer can answer. First, don’t panic. Your personal information is already out there. A motivated hacker can easily obtain it for a few dollars. But this doesn’t mean you should sit on your hands. Consumers can, and should, make things harder for criminals. You could compare it to your home’s front door. No matter how much you spend on security, a professional burglar could break in, but that doesn’t mean you should leave the door open or that you shouldn’t invest in a decent security system. 1.) Change your passwords again. This is an obvious but often overlooked measure after major breaches. Don’t use your name or words that can be found in a dictionary. The first thing hackers do is use programs that test every word in the dictionary. Instead, create your own secret codes by using anagrams or substituting letters from common words with numbers. 2.) Turn on multi-level authentication. Only use sites that offer you the option of confirming access by receiving a one-time code either via a phone message or email. 3.) Lie on security questions. With the advent of social networks and our propensity to over-share, most security questions are easy to hack. Finding out where someone went to high-school or their mother’s maiden name just isn’t that difficult anymore. Instead of offering truthful answers, provide a second password as your answer. This will make it much harder for hackers to guess your security answers. 4.) Monitor your credit. There are no fail proof security measures against identity theft. You can try to make it harder for criminals but the chances are you will fall victim to identity thieves sooner or later. You can minimize the damage of these attacks by regularly monitoring your credit by scanning your credit history with the three major credit reporting agencies. 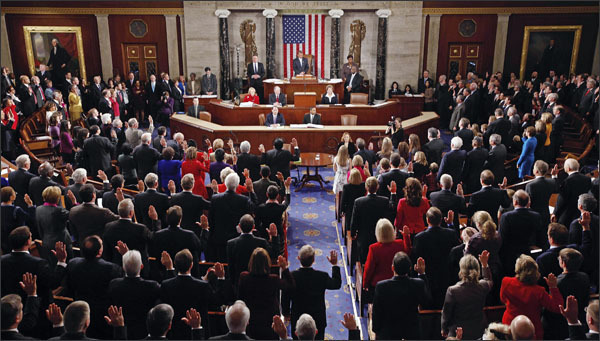 As 2014 drew to a close, Congress voted to extend 54 “temporary” tax cuts for the 2014 tax year. 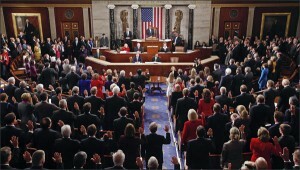 The Senate vote finally passed the week after Congress was supposed to adjourn for the year, producing a collective sigh of relief among taxpayers. The numerous cuts will benefit a wide range of taxpayers, ranging from large businesses and corporations to struggling homeowners. The list below describes eight of the most popular deductions that were extended. Tuition deduction. Whether you itemize your taxes or not, this tax cut allows you to deduct up to $4,000 in tuition, fees and related expenses for post-secondary education for yourself or your dependents. Mortgage insurance premiums. If you are required to pay mortgage insurance to your lender, this deduction allows you to deduct the cost of your premiums if you itemize your tax return. Mortgage debt exclusion. The mortgage crisis has forced many homeowners into foreclosure or a short sale. If your house was sold for less than you owe, the bank will often forgive the debt. However, the IRS considers the amount forgiven to be taxable income. This deduction allows you to exclude the forgiven amount from your income. Teachers’ deduction. Whether a teacher itemizes their tax return or not, this tax cut allows him or her to deduct up to $250 in out-of-pocket expenses for classroom supplies. Commuting costs. Commuters can reduce their pre-tax income based on their commuting costs. People who drive to work and pay to park may deduct $250 per month. Commuters using mass transit may deduct $130 per month. Sales tax. If you itemize your tax return, this measure allows you to deduct the state and local sales taxes you’ve paid in 2014 instead of state income taxes. This deduction especially benefits individuals living in one of seven states that do not have a state income tax. Energy credit. You can deduct up to 10 percent of the cost of qualified energy-efficient products (between $50 and $500) purchased for your home in 2014. This deduction does not apply to new homes. The qualified product must have been bought and installed into your primary residence in 2014. IRA withdrawals for charity. If you are over 70 1/2 years old, you may make a tax-free charitable contribution from your IRA up to $100,000. The contribution will not count as a deduction, but it will decrease your taxable income. As advantageous as these tax breaks may be in preparing your 2014 tax returns, don’t get used to them. They technically expired as of December 31, 2014, which means Congress will go through the same process at the end of this year. And while these cuts benefit millions of individuals, analysts estimate the extensions will add $42 billion to the national debt over the next 10 years. Don’t be surprised if Congress allows many, if not all of these tax breaks to expire as a result. The Treasury Inspector General for Tax Administration says that a quarter of all of Earned Income Tax Credit payments made in 2012 were not proper payments. Is this announcement from the Inspector General IRS tax news or an indication of more deeply rooted problems? Either way, it appears the agency needs better oversight in administering EITC credits, which benefit so many low and moderate-income taxpayers and their families. Many EITC payments were made to people who were not entitled to them, while some legitimate recipients received the wrong amount. The total amount of improper EITC payments totaled an astonishing $14.5 billion of the $63 billion in credits paid, according to the report. It appears that the EITC represents one of the biggest risks for placing billions of dollars in the wrong hands. The federal watchdog agency that monitors the Internal Revenue Service (IRS) operates under the Improper Payment Elimination Recovery Act of 2010. Its most recent report notes that agency oversight is seriously lacking. 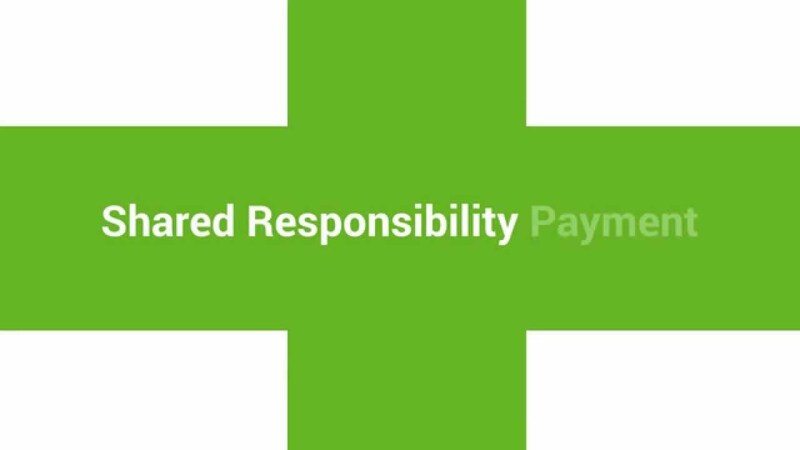 The amounts of those incorrect payments, unacceptably high at 25%, are significant and considerably above the government expectations for an error rate of 2.5%. Lax oversight is a major contributing factor to the total shortfall, estimated to total between $124 billion to $148 billion. A high level of mismanagement also occurs with the Additional Child Tax Credit, intended to assist larger low-income families in reducing their tax burden. Improper credits by the IRS totaled 25% to 30% of the program’s total payouts. These improperly administered credits amount to between $5.9 billion to $7.1 billion in total. The watchdog agency recommended expanding IRS authority to allow the agency to make corrections in tax returns it receives to prevent improper payment of refundable tax credits. This change alone could avoid improper payments totaling more than $1.7 billion, according to the auditor. While the IRS reported agreed with the watchdog agency’s recommendations, recent budget cuts continue to make it difficult — if not impossible — to effectively enforce compliance. Initially gaining fame for attempting to rescue Russia’s Mir Space Station and turn it into a tourist destination, Walter Anderson went down in history as the perpetrator of the largest case of personal tax evasion in U.S. history. The former telecommunications executive hid much of his earnings in a dizzying labyrinth of off-shore shell companies and bank accounts that the IRS never completely unraveled. Anderson’s high-flying life as an international traveling tax evader ended abruptly in 2005 when the Justice Department filed its biggest tax evasion case in history. A grand jury indictment attested that Anderson conducted business through corporations in the British Virgin Islands and Panama to hide the fact that it was personal income. During that period he is reported to have earned a half a billion dollars of income. 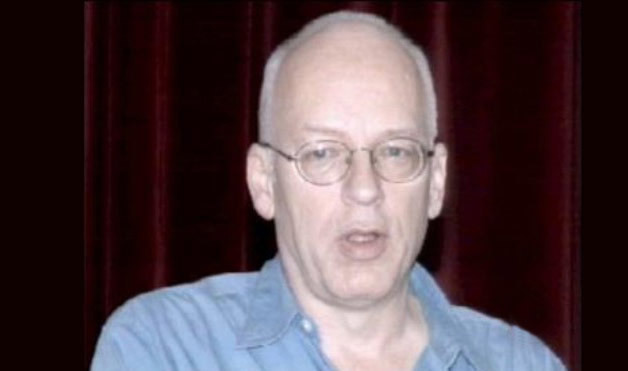 Authorities arrested Anderson at the Washington Dulles International Airport as he returned from London. They placed him in the D.C. Jail where he proceeded to serve 2 ½-years of his eventual nine-year sentence which later took him to federal prison and ended with him on house arrest at his parent’s home in Virginia. His sentenced completed at the end of 2012. Although Anderson originally pled “Not Guilty,” while on trial in 2006 he admitted to hiding $365 million of income during the 1990s, which resulted in a nine-year sentence and a fine of almost $400 million in back taxes, fees and penalties. While serving his sentence, Anderson later proclaimed his innocence of tax evasion, saying that conditions in the D.C. Jail where they held him in solitary confinement were so barbaric, that they ended up coercing him to declare his guilt. Anderson grew up in Silver Spring, Maryland and later lived in Fairfax, Virginia, where in 1971 he graduated from Woodson High School. He attended various colleges, although he never earned a degree. Those learning institutions included George Mason University, University of Richmond and Northern Virginia Community College. Anderson began working as a telecommunications salesman in 1979 for MCI Communications. In the 1980s, he became involved in various entrepreneurial ventures, which continued through the 1990s and into the early 2000s. Early on in his business ventures, he invested in various telecom companies that he later sold for hefty profits. Anderson was enamored with commercial space ventures and the idea of space tourism. He was one of the early backers of the International Space University (ISU) founded in 1987 that offers a Master of Science in Space Studies. He provided funding and advice to the founding team. Anderson is reported to believe that development of space is the answer to issues facing our planet, such as overpopulation. He also supported the Space Frontier Foundation when it was established in 1988. Prior to going to prison, Anderson headed up a variety of space-related businesses, such as serving as Chairman and CEO of Orbital Recovery Corporation and Chairman of the Board for Satellite Media Services, among others. 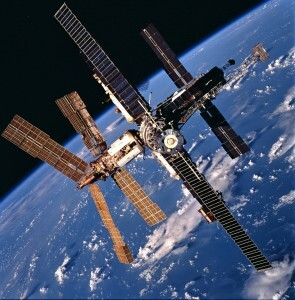 The investment in space for which Anderson became well-known was the creation of MirCorp in the 1990s, which sought to privatize Russia’s aging Mir Space Station. Anderson is reported to have invested $30 million into the concept of creating the world’s first space tourism destination. He also hoped to use the Mir to lease it to drug companies and other businesses that needed to do micro-gravity research. Anderson’s plans to use the Mir Space Station ran aground when NASA and the U.S. government pressured the Russian Space Agency to de-orbit the Mir Space Station, also warning other companies against partnering with Anderson on the venture. In April 2001, the Russians de-orbited the space station into the Pacific Ocean. In June 2007, a federal district judge determined that Anderson wouldn’t have to pay from $100 to $175 million of his fine to the federal government because of a typographical error in the plea agreement written by the government. He still has to pay the D.C. government $23 million. Since his release, Anderson’s tune hasn’t changed much. He insists on his innocence and remains unrepentant and poised for his next entrepreneurial ventures, which have been reported to be tangentially once again “up in space” in the area of cloud computing. In September 2012, he appealed the 2011 U.S. Tax Court filing that requires that he pay his taxes and penalties from 1998 and 1999, but lost. Anderson claims that he is broke and even had a public defender represent him during his criminal case. Some believe he has money socked away. Considering the maze of a money trail he created, whether he has hidden funds to pay off his debt is anyone’s guess.